An easily accessible introduction that concisely explains the key features of the world's only truly global organization. Includes more recent examples of the UN Security Council in action and peacekeeping challenges since 2008. After seven decades of existence has the UN become obsolete? Is it ripe for retirement? As Jussi Hanhimäki proves in the second edition of this Very Short Introduction, the answer is no. In the second decade of the twenty-first century the UN remains an indispensable organization that continues to save lives and improve the world as its founders hoped. Since its original publication in 2008, this 2nd edition includes more recent examples of the UN Security Council in action and peacekeeping efforts while exploring its most recent successes and failures. 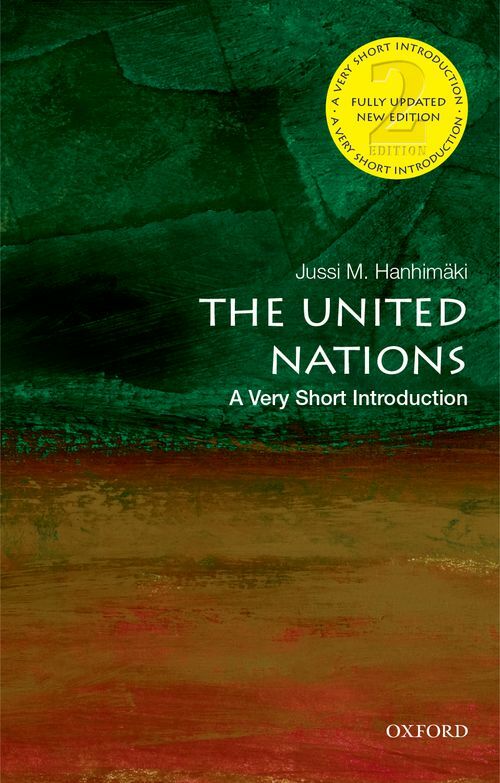 After a brief history of the United Nations and its predecessor, the League of Nations, Hanhimäki examines the UN's successes and failures as a guardian of international peace and security, as a promoter of human rights, as a protector of international law, and as an engineer of socio-economic development. This updated edition highlights what continues to make the UN a complicated organization today, and the ongoing challenges between its ambitions and capabilities. Hanhimäki also provides a clear account of the UN and its various arms and organizations (such as UNESCO and UNICEF), and offers a critical overview of the UN Security Council's involvement in recent crises in Iran, Afghanistan, Iraq, Ukraine, Libya, and Syria, and how likely it is to meet its overall goals in the future. Regardless of its obstacles, the UN is likely to survive for the foreseeable future. That alone makes trying to understand the UN in all its manifold - magnificent and frustrating - complexity a worthy task. With this much-needed updated introduction to the UN, Jussi Hanhimäki engages the current debate over the organizations effectiveness as he provides a clear understanding of how it was originally conceived, how it has come to its present form, and how it must confront new challenges in a rapidly changing world. Jussi M. Hanhimäki is a professor of international history at the Graduate Institute of International and Development Studies in Geneva. His books include The Rise and Fall of Détente: American Foreign Policy and the Transformation of the Cold War (2013); Transatlantic Relations Since 1945 (2012); United Nations: A Very Short Introduction (2008); The Flawed Architect: Henry Kissinger and American Foreign Policy (2004); and The Cold War: A History in Documents and Eyewitness Accounts (2003). He has also published articles and reviews in such journals as Diplomatic History, Diplomacy and Statecraft, The International History Review, and Relations Internationales. He serves in the editorial boards of Refugee Survey Quarterly, Cold War History, and Relations Internationales. In 2006 Professor Hanhimäki was named Finland Distinguished Professor by the Academy of Finland.